Material possessions are one thing, but what matters most is having a heart. Just ask this dog, named Hunter, whose life was saved thanks to a homeless man rich with the latter. 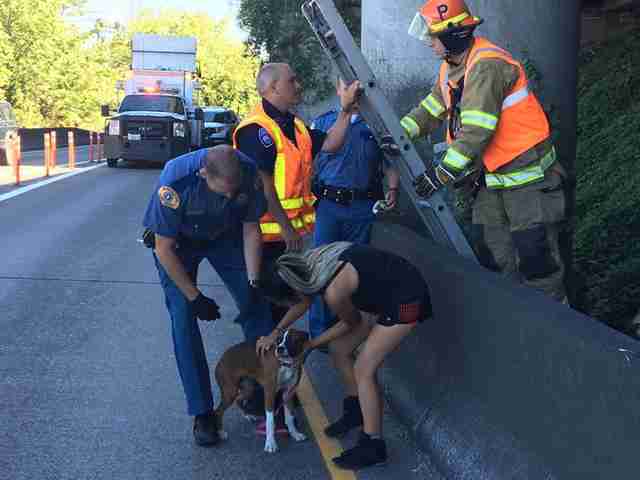 On Tuesday, Hunter and his owner were on a freeway overpass in Tacoma, Washington, when the excitable pup suddenly leapt out the window of the car. Incredibly, he wasn't seriously injured in the fall, but where Hunter ended up was far from safe. 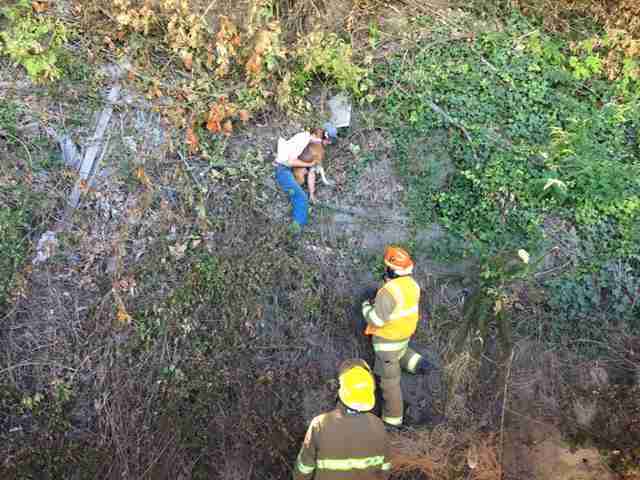 He'd landed on a steep cliff and gotten stuck in some ivy; that was the only thing preventing Hunter from tumbling to his death on the roadway beneath. 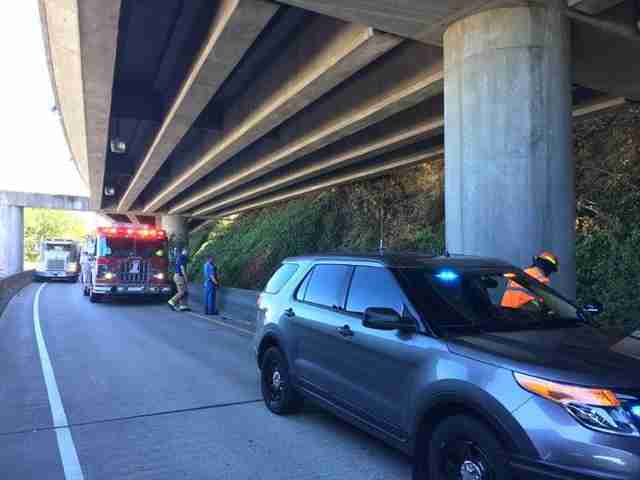 Troopers from Washington State Patrol and local firefighters rushed to the scene to help. Given Hunter's precarious perch, they knew time was of the essence to save him. "We were trying to get him as fast as we could," Brooke Bova, a trooper, tells The Dodo. 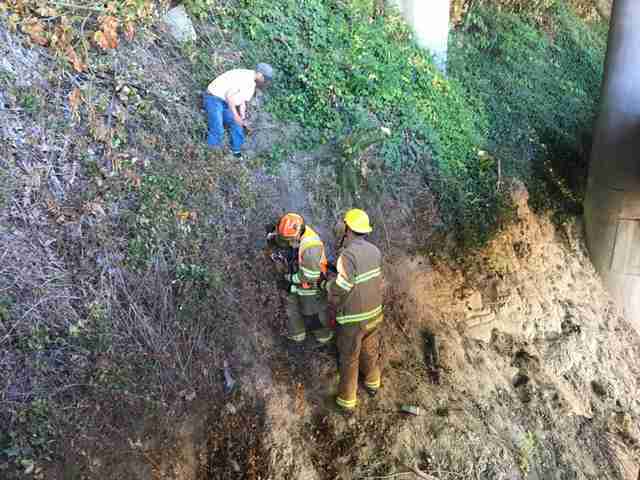 "It's a very steep incline and there's concrete below." As first responders scrambled to figure out the best way to reach Hunter, they were approached by a civilian who wanted to help. 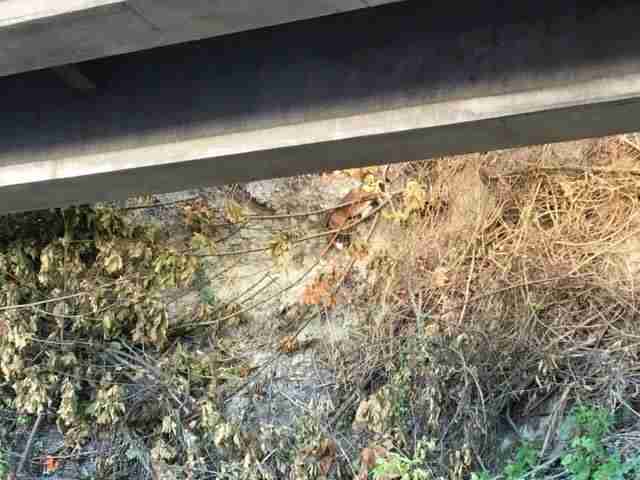 "This homeless man, who said that he lived under the overpass, offered to climb up," Bova says. "He said he knew the terrain and could grab the dog. It was heartwarming. He didn’t have to do that." But that's what he did — putting his own well-being on the line for a pup he'd never met. 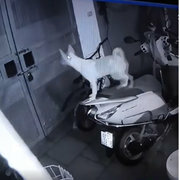 Hunter was delivered to safety. Bova says Hunter looked shaken but appeared to be in good health as he reunited with his worried owner, thanks in no small part to the man who'd volunteered to assist. "In my experience, homeless people tend to avoid law enforcement and do their own thing, so it was really heartwarming that he came up and offered to do that," she says. "It restores your faith in humanity." Meanwhile, the humble hero of the day simply wandered off, leaving behind just the happy outcome made possible by his passing good deed. "He didn’t give his name. He just went on his way when he was done," Bova says. "He was just a really kindhearted guy."